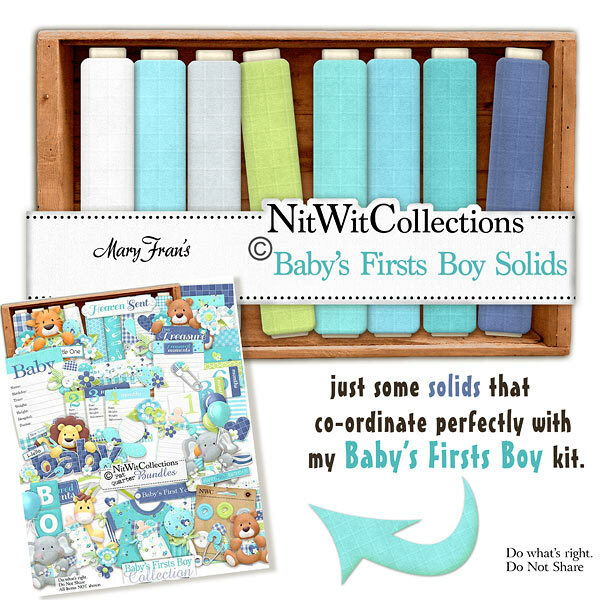 "Baby's Firsts Boy" Solids are the solidly coloured digital background papers to give you the exact coordinating papers to create with. Sometimes plain cardstock will do, but with these specific colour shades we wanted you to have the perfect match!! These digital papers are NOT included in the FQB "Baby's Firsts Boy" Collection so please don't miss out!